Michael Eves Shaffer was born on April 1st at one in the morning. Whether the birthday shaped him or he chose that date to represent his life, only the divine really knows. His tastes have always been extremely eclectic as well as his career paths. From his first job as a dishwasher, he went into the Army to become a turbine engine mechanic. After four years, he got out and joined the Army Reserve Military Police. Which immediately deployed for Desert Storm. Returning home, he worked as a bookkeeper for an accounting firm. But adventure still interested him, so rejoined the Army to become a Calvary Scout. Which meant his job was to go behind enemy lines to observe what they were doing. While stationed in Baumholder, Germany, as part of the 4/12 Infantry Brigade, he was deployed to Bosnia. After his time there, he moved fully into civilian life, doing a number of different things before he settled into software engineering. 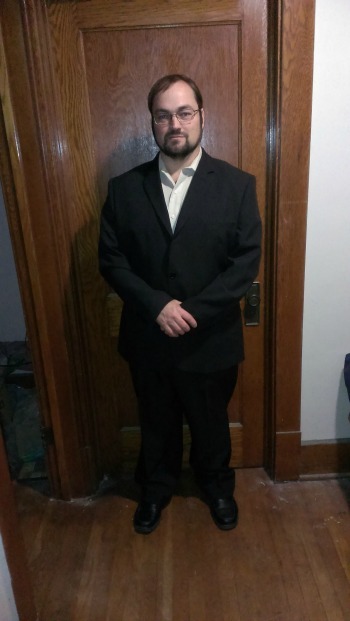 Currently lives in Youngstown, Ohio, with three cats (Scooter, Tanjay, and Isbit) and an Anatolian Shephard (Fafhrd). He had always been into fantasy and science fiction, a very avid reader since before he got into school. In October of 2014 he finally decided to put together the pieces and parts that had been running through his head. In April of 2015, he published his first book, Firing of the Crucible. His second book followed in June of the 2016, Forging of the Blade. Part of the delay was he had decided that he wanted to add illustrations. After going through a number of artists who said they wanted to be part of the project, he tried his hand at art. Forging shows his first attempts and a month after the released Forging, he re-released Firing with added artwork. M. Shaffer: My latest book is Forging of the Blade. It’s the second book of the Phoenix Empire series. In the first book Firing of the Crucible, Earth was seeded with the Awakening Spores and the first 13 Omegas were retrieved. In Forging of the Blade, they begin their training with their new Aether abilities and work on bringing up as many Sigmas and Omegas as they can. Not to mention figuring out what place the Terran’s will have in the Dvane Empire once the war is won. In the book, the reader will be exposed to more of the Dvane language, and not just some of the curse words. The Dvane language is actually based on a real language: Enochian. 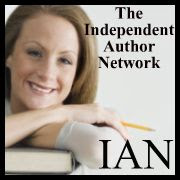 IAN: Is Forging of the Blade published in print, e-book or both? M. Shaffer: It is available in both and also Kindle Unlimited. IAN: Where can we go to buy Forging of the Blade? IAN: What inspired you to write Forging of the Blade? M. Shaffer: The two most powerful words in any language: What if. What if almost all the religions and scientists had been right? What if there was a common thread between all the stories dating back to before we started recording them? And what if that thread was alien influence? What sort of influence would it be? We are an extremely war-like race. Even among the different species of animals on earth. Why are we so different than them? One would think with intelligence we would be more peaceful. What if the alien race that created us didn’t want us to be? And what would drive them back to pick us up? M. Shaffer: The idea was that Terrans were created to be a weapon to be wielded by the Dvane Empire. Terrans were the iron ore. The Awakening and Call was the Dvane firing the crucible to draw out the steel. 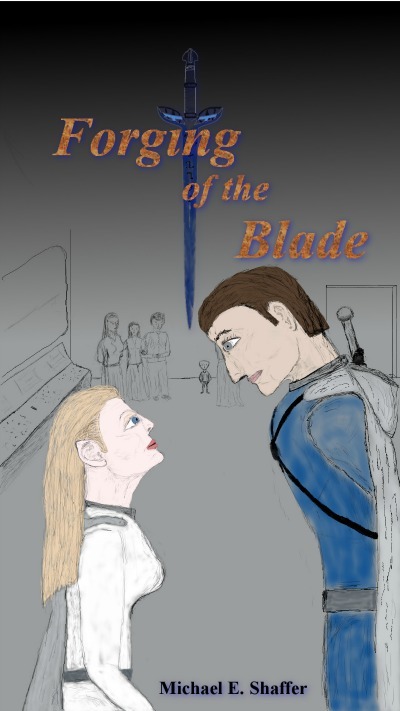 In the second book, Forging of the Blade, the steel is being turned into the weapon needed. IAN: What do you hope your readers come away with after reading Forging of the Blade? M. Shaffer: A sense of questioning everything they’ve been told so far. We, as a society, have gotten into the habit of believing what the talking heads in Washington and on the university “elites” tell us. We need to break that habit. I presented a logical and scientifically sound alternative to a lot of the things we take for granted. Not saying they are right. Just that they are possible and can’t, at this time, be proven wrong. IAN: How is Forging of the Blade different from others in your genre? M. Shaffer: There are a lot of ways this series is different. But I think the biggest one that will attract the most people is while I put in some Archetypes in as the initial Omegas, they aren’t the only heroes. Just like in the real world, a war isn’t won by a single person or even a single band of heroes. So, while almost all of the action will take place around the first 13 Omegas and 15 Roh, the actions of those around them will have as much or more importance as theirs. One of the biggest draws for Star Wars was the thought that almost anyone could be a Jedi. I want to take that a step further and bring focus to the people who not just support the Terrans, but who play their own, separate role in trying to defeat the Easlank. 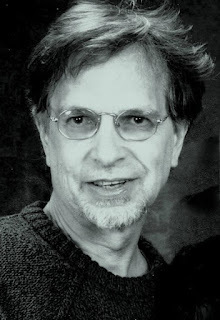 M. Shaffer: Robert Heinlein. If you haven’t read him, you definitely should. He was primarily science fiction, but any of his stories could have been put at almost any time, past or present. He wrote everything from children’s books to things that were very adult oriented. While his books were great adventures unto themselves, they also had life lessons and, most importantly, hard questions you had to ask yourself. Made you challenge what you’ve been told and taught. M. Shaffer: David Webber and John Ringo. David’s Honor Harrington had a big impact on what I should expect in descriptions of realistic space combat and so heavily influenced how I handle it. John in how much fun can be had if your main characters have realistic handicaps, mental and emotional, to flesh out characters and make them easier to relate to. M. Shaffer: That would definitely be Kristyna Burkel. She has helped with reading over and many other aspects of the books themselves. Inspiration, reality checks, and the like. Also has been a great friend and supporter. M. Shaffer: On the second one, me. I really wanted to go with local artists. You know, support the artist community. But when the third one flaked out on me, and pretty much at the last minute, I gave up and taught myself drawing. The cover isn’t the greatest, but it beats the hell out of most of the “pro” covers out there because it is from a scene in the book. All my covers are and will be. One of the thing a hate about new books. Their covers have nothing to do with the book. Hell, you’re lucky if they get the genre right! IAN: What was the hardest part of writing your books? M. Shaffer: Deciding where and how to end each book. There is the urge to end it at the end of an epic battle like most movies do it. But that is wrong in storytelling. Obviously, movies have a run-time issue. You want all the eye-candy you can stick in it with the shortest runtime you can get away with. Because you want to get it run as many times as you can in the theater. However, in a book you have an obligation to go over the repercussions of said battle. And if it’s a series like mine, you really need to set things up for the next book. And if it’s an epic story like mine, you need to do some set up for the tenth book down the line. M. Shaffer: Yeah. Don’t. Leaves more room for me! Just kidding. Seriously, though, I can’t think of anything that hasn’t already been said. Write what you know. If it doesn’t flow smoothly, then it’s probably not what you should be writing. Writing should be a passion. Not something you do just to make money. It’s an art form. This isn’t to say you should give your work away or that you should look to get rich off it. As I said, it’s art, and someone should be willing to pay to enjoy it. Just that if it’s your primary motivation, you won’t care about the writing. M. Shaffer: Yes! Don’t assume you know where my thoughts are going or what my personal views are. I’m trying to create specific and distinct characters. They should be relatable but different. There will be characters who are “heroes” but are generally distasteful people. They will have character traits that some consider flaws. But they are just traits. It goes to the old adage: Action speaks louder than words. IAN: What were the challenges (research, literary, psychological, and logistical) in bringing it to life? M. Shaffer: One of the biggest challenges was the Dvane language. It is directly derived from Enochian, an actual language. It is intrinsic to the narrative. Many believe that it was the original language all people spoke. I was having trouble working with it. Then I finally got one of the few experts on the language to start helping me. Her name is Patricia Shaffer. I call her Mom. Because, well, she is my mom. But she had a stroke a few years back and had been getting kind of blah about life. But with these books, getting her involved, I was able to get her really interested in life again. It was a challenge, but well worth it! M. Shaffer: The third book in the Phoenix Empire series will be coming out the beginning of 2017. It will be called Qwenching the Blade. And yes, the spelling is correct. The Vangart jumps out of the Terran system with a little over 500 Omegas and Sigmas. And almost immediately into combat!